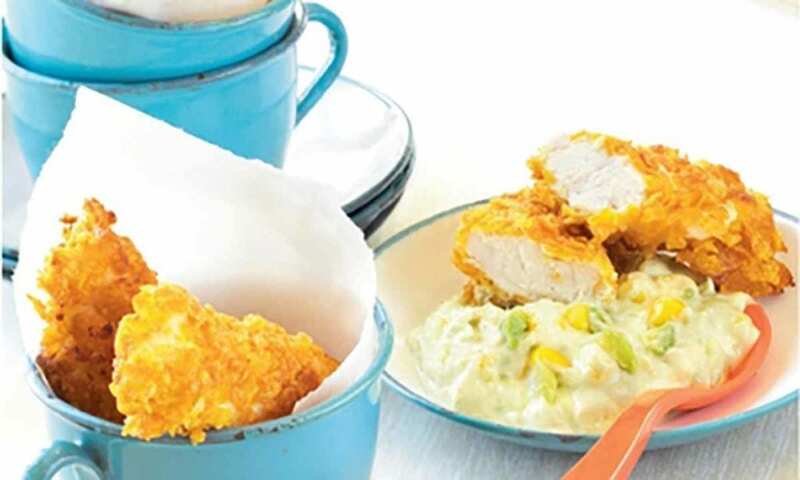 A simple crowd pleaser that is ideal for summer outdoor entertaining. Split the pita breads in half horizontally. Spray the rough side of each pita bread with the oil spray. Cut each circle into 8 wedges and place them on an oven tray. Sprinkle over sesame seeds and bake the pita wedges in the preheated oven for 15 minutes, or until they are crisp. Meanwhile, combine the olive oil, garlic, lime juice, Mexican seasoning and chicken pieces in a bowl. Heat a fry pan over a medium-high heat. Add the chicken pieces and cook them, turning them frequently, for 5-6 minutes, or until the chicken is cooked through and golden. 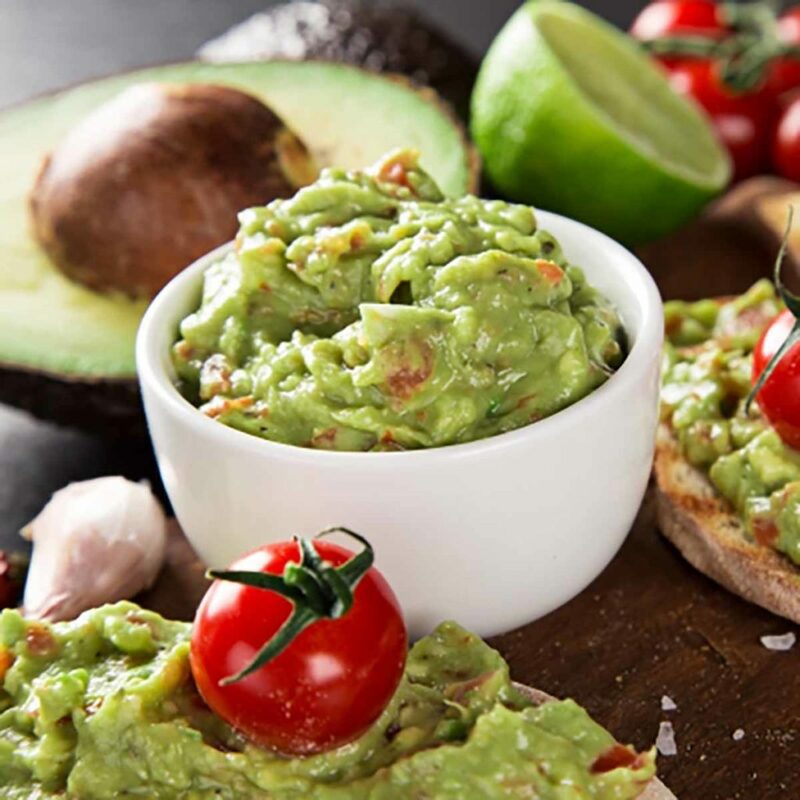 Remove the skin and stones from the avocados. Place the avocado flesh in a bowl with the lime juice and mash it roughly. The texture should be rough and chunky, not smooth. Stir in the red chilli and season to taste with the salt and pepper. 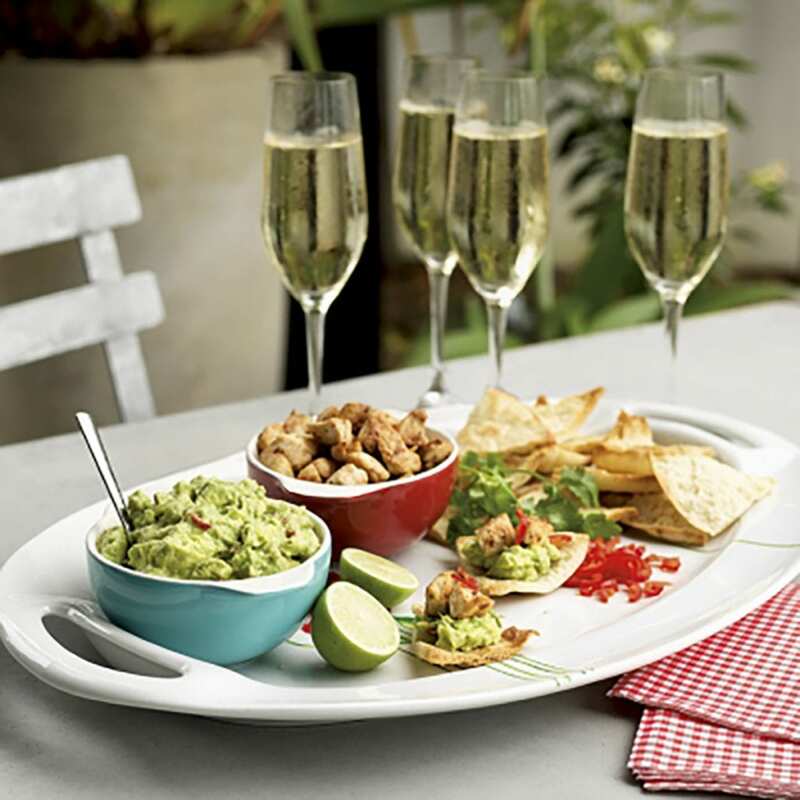 Arrange the pita crisps on a platter with the chicken, guacamole, extra sliced avocado, red chilli and coriander. Let everyone top their own pita crisps. Tip: Extra pita crisps can be stored in an airtight container for up to 2 weeks. 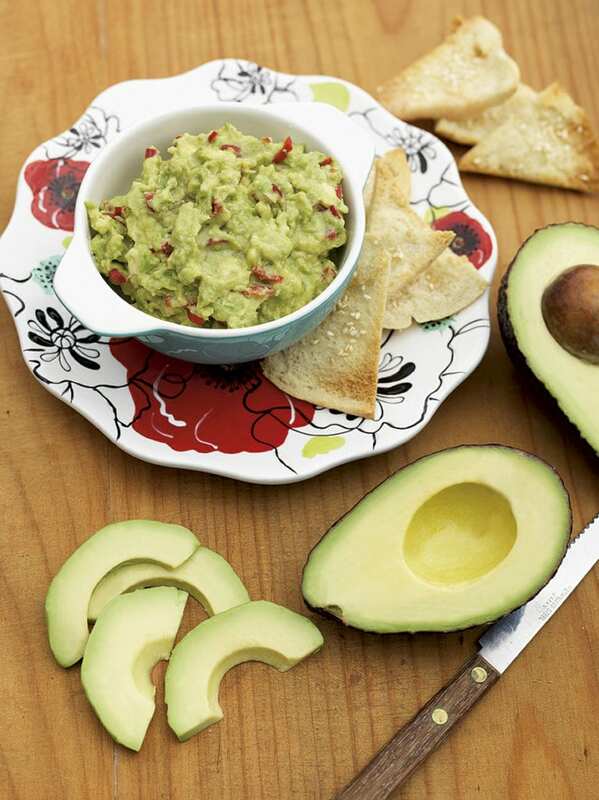 Share the post "Zesty Guacamole with Mexican Chicken"